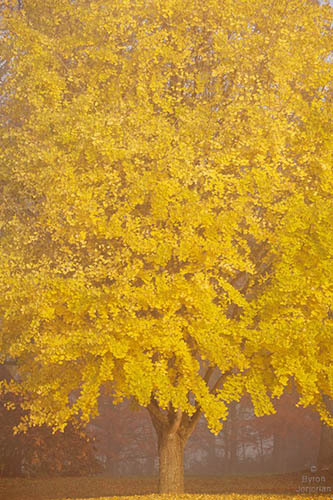 I had my eye on this Gingko tree for several days before the right conditions presented themselves for this photograph. The tree fairly glowed in the heavy fog at sunrise and I had only a few minutes to set up and get the image. Within 5-6 minute the fog burned off and this special moment was gone.